Self-driving cars are not yet available for consumer purchase. As The Atlantic reports, Tesla introduced software in 2016 that allows a car owner to “summon” their electric or hybrid vehicle. The car can turn itself on, open the garage door, and meet its passengers in the driveway like an automotive chauffeur. Since that announcement, dozens of software companies have introduced competitive software with similar features. As a consequence of the diversity and the likelihood that various software will not communicate between car models, Noah Smith of Bloomberg Opinion recommends that the Federal Government mandate the use of a universal, shared intervehicle communication system. Self-driving software continues to be improved following the death of a driver of a Tesla Model S electric sedan in self-driving mode in Florida in May 2016. In 2018, an Uber self-driving car struck and killed a pedestrian in Tempe, Arizona. The inability of the technology to compensate for fast-moving, smaller motorcycles caused several non-fatal accidents in California in 2017. Nevertheless, plenty of people are excited by the thought of a world in which autonomous, self-driving vehicles will make traffic lights and dedicated highway lanes obsolete. According to a 2017 article in Business Insider, 19 companies, including manufacturers and technology giants, are racing to develop self-driving cars. Futurists predict that, by the middle of this century, new car technology will transform personal transportation in America in the following ways. The traditional rule of thumb to determine a car’s affordability was that its total cost — including a 20% down payment, loan term of no more than four years, and payments, interest, and insurance — should be no more than 10% of your annual income. However, this rule is becoming harder and harder for the average consumer to follow. As a result of higher prices and extended loan terms, the Bureau of Labor Statistics calculates that the typical American couple in 2016 spent more of their gross income on transportation (17.5%) than on food (11.8%); only the cost of housing exceeded the cost of transportation. Financial problems compound when a family owns multiple cars and maintenance expenses escalate as these vehicles age. Worse yet, Morgan Stanley Research found that the car is “the world’s most underutilized asset,” used an average of only one hour per day, for a 4% utilization rate. It’s likely that the electric vehicles of the future will be owned jointly by multiple drivers to capitalize on the investment. Industry observers predict that by 2025, the majority of families will own a single vehicle for most uses and share vehicles for their occasional, short-term needs. According to research conducted by the UC Berkeley Transportation Sustainability Research Center and reported in ACCESS magazine, the number of vehicles owned by car-sharing partners drops by half as newer, more efficient automobiles replace older models. If car-sharing rises as predicted, individuals and families will be able to reduce their financial outlays for personal transportation without incurring significant lifestyle changes. Also, some prognosticators predict that self-driving cars could transform ride-hailing and ride-sharing companies, such as Uber, Lyft, Zipcar, and Turo. In an automated taxi system, customers could enter their destinations on their smartphones to dispatch a self-driving vehicle that would pick them up, take them to their destination, and move on to the next customer. Despite reductions of up to 90% in pollutants released per mile since the 1960s, gasoline-powered vehicles remain the primary cause of air pollution in the United States. Automobile emissions are linked to cancer and exacerbate asthma, heart disease, birth defects, and eye irritation. An MIT study in 2013 estimated that road emissions cause 53,000 premature deaths each year. Many scientists have linked these emissions to global warming and climate change. 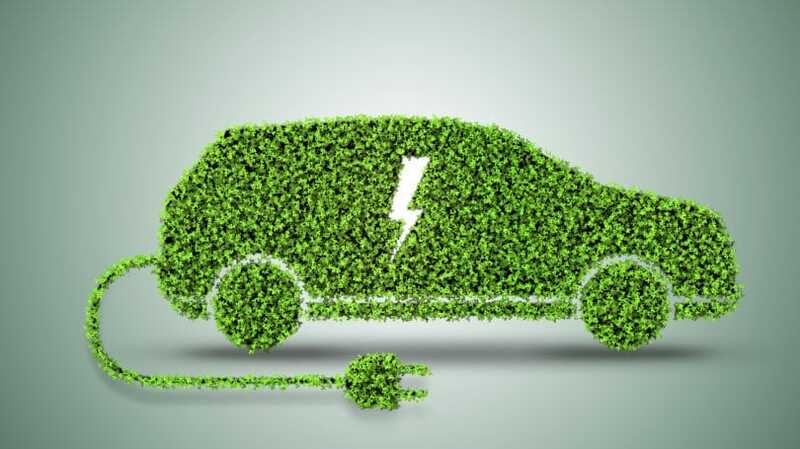 An all-electric vehicle produces no direct emissions, while hybrids produce less than half of the emissions of vehicles with internal combustion engines. A Union of Concerned Scientists’ report concluded that EVs reduce global warming emissions for large and mid-sized cars by more than 50%. Pollution from automobile emissions will substantially decrease in the future if electric cars become the dominant vehicles on the road. Also, about 80% of a car’s parts are recycled today. Autos are the most recycled consumer product in the world, with 12 million recycled annually in the United States alone. Electric cars are projected to maintain the same, if not a higher, recycling rate. A Bloomberg New Energy Finance report estimates that by 2025, 10-gigawatt hours of electricity — enough to power 1.65 million average American homes, or the equivalent of 10 large coal or natural gas power plants — will come from used batteries from electric cars. By 2018, the cost of recycling these batteries is projected to be $49 per kilowatt hour versus $1,000 per kilowatt hour for a new battery system today. Within a few years, The Atlantic predicts, cars may be able to determine when an accident is likely and make adjustments to the cabin to improve driver and passenger safety, such as moving seats, closing windows, and retracting the steering wheel. As more of these safety features are implemented, traffic fatalities will drop precipitously. A 2010 study by the National Highway Traffic Safety Administration (NHTSA) found that V2V technology has the potential to reduce 79% of vehicle crashes on the road. These crashes generated more than $870 billion in economic losses, killed 33,000 people, and caused more than 3.9 million injuries in 2010, according to the NHTSA. Medical bills and emergency response expenses — which are reflected in taxes and insurance payments — currently represent a cost off $784 to every man, woman, and child in the United States. Additional Open Spaces in Urban Areas. In an interview with The New York Times, MIT professor of urban planning Eran Ben-Joseph noted that parking lots cover more than a third of the land area in some cities. There are an estimated two billion parking spaces in the United States, or eight spots for each automobile, scattered around work, shopping, and recreation areas. This is known as “Pensacola Parking Syndrome,” named after the downtown area of a Florida city where so many buildings were demolished for parking spaces that people no longer go there. Greater Utilization of Parking Areas. The parking lots at Disney World are so large that Disney operates constant trams to avoid the marathon trek to the park. Self-driving vehicles could drop off and pick up passengers, then head to remote parking areas to wait for the next passengers. This would also help drivers avoid the annoying “Where did I park my car?” dilemma. Improved Stormwater and Flooding Controls. The impervious “asphalt deserts” of parking lots exacerbate flooding and complicate stormwater management, as was recently experienced in Houston, Texas during Hurricane Harvey. The elimination of parking lots will decrease costs and generate new income for cities and towns from new businesses and more pedestrian use of downtown areas. More importantly, it will make cities more inviting and livable. Increasingly long commutes create traffic congestion and burden roads that are already at capacity. The average commute has increased from less than 22 minutes to more than 27 minutes since 1980, according to a U.S. Census Bureau report. One in five commuters spends more than 40 minutes in their car, each way, per day. As a consequence of congestion, road rage incidents are rising by 7% annually, and one study found that the number of road rage incidents involving guns has doubled since 2014. Aggressive driving causes 66% of traffic fatalities, and more than one-third of these incidents are firearm-related, according to Safe Motorist. Imagine a world in which you simply set the course for your destination, then sat back and relaxed. Your car would communicate with other vehicles on the road to maintain a safe distance, resulting in an overall smoother traffic flow and less stress for you at the beginning and end of the workday. With self-driving vehicles, this could very well be in your future. Will electric, self-driving cars become the dominant vehicles on the road any time soon? In Norway, electric and hybrid cars account for more than half of new vehicle sales each year. Experts predict that America could experience a similar transition to all-electric vehicles by 2050. However, unlike Norway, the United States faces major hurdles to overcome before this transformation can occur. Norway has a smaller population, land mass, and number of vehicles per person — about 1% of the registered vehicles in America. Widespread adoption of electric, self-driving vehicles in the United States will need to overcome the following significant roadblocks. The infrastructure supporting the internal combustion motor has been built over the past century and amounts to billions of dollars. The combined property, plants, and equipment on the 2016 balance sheets of the Big Three auto manufacturers — GM, Ford, and Fiat Chrysler — exceeded $150 billion, most of which was dedicated to the manufacture and sale of traditional vehicles. Foreign car manufacturers also have plants in the United States that produce traditional vehicles. The existing structure supports more than 16,700 new car dealers and nearly 175,000 automotive repair shops employing a total of 670,000. An estimated 121,446 gas stations in the country employ almost a million additional workers. Also, demand for gasoline has been the major impetus for the growth of the petroleum industry from less than three billion gallons in 1919 to 143.4 billion gallons in 2016, according to the U.S. Energy Information Administration (EIA). More than 1.3 million people are employed by the oil industry to search for, extract, and refine petroleum products in 2015, according to data compiled by Statista from the U.S. Bureau of Labor Statistics. A rapid change to electric cars will eviscerate much of the country’s existing automotive and petroleum assets, potentially generating billions of dollars in losses and ending thousands of jobs. With so much as stake, it isn’t surprising that these industries haven’t been eager about the prospect of EVs. The Energy Improvement and Extension Act of 2008 and the American Recovery and Reinvestment Act of 2009 provided tax credits for the purchase of EVs, plug-in EVs, and EV charging stations. In 2017, 45 States and the District of Columbia passed incentives to buy qualified alternative-fuel or electric-powered vehicles, including toll exemptions, free parking, tax credits, and reduced registration fees. These incentives are a primary factor in EV purchase decisions, but they likely won’t last forever. Many powerful business interests oppose the continuation or escalation of the nation’s Corporate Average Fuel Economy (CAFE) standards and the production of electric vehicles. In 2016, the Huffington Post reported that Koch Industries and others were planning a multi-million dollar campaign to discourage subsidies for EVs and promote the use of fossils fuels. NBC News reports that Ford CEO Mark Fields told President Trump that fuel economy rules put one million American jobs at risk. Subsequently, the President announced that his administration would work tirelessly to “eliminate the industry-killing regulations,” effectively repudiating the previous administration’s efforts to promote fewer emissions and greater fuel economy. According to David Kiley of Forbes, the Republican Congress and President Trump “have no intention of extending the federal $7,500 tax credit that subsidizes EV sales in the next budget.” Navigant researcher director John Gartner predicts that automobile makers will abandon EVs starting in 2021, the earliest point that existing product-development programs can be terminated. This failure might be the consequence of widespread or local storms that destroy transmission and distribution lines, peak overloads leading to blackouts, or cyberattacks causing outages over a large area. Widespread outages create turmoil, public fear, and hundreds if not thousands of deaths due to heat stress in summer or extreme cold in winter. If consumers are worried about the reliability of the grid, the transition from current mobile, carbon-based fuel sources to a fixed but vulnerable power grid is certain to be delayed. Replacing outdated power plants — many of which are 40 years old or older — is estimated to cost $2.7 trillion, while the cost to maintain them over the next 10 years will require “hundreds of billions, if not trillions, of dollars over the next decade,” according to Business Insider. With the national debt at historic levels, Congress may be reluctant to fund the necessary rehabilitation of the power grid. In 1996, General Motors introduced the EV1, the first mass-produced electric vehicle available from a major automaker. At the time, the average cost of gasoline was $1.82 per gallon. GM manufactured slightly more than 1,100 EV1 models, which failed to attract many buyers. According to a study by Dr. Kenneth Train of UC Berkeley reported in Automotive Design & Production, customers would only choose an electric vehicle over a gasoline car “if it cost a full $28,000 less than a comparable gasoline car.” Unsurprisingly, GM abandoned production of the EV1 in 1999. The EIA forecasts that prices for West Texas oil will rise from $49.99 per barrel at the end of 2017 to $168.69 per barrel by 2040, equating to a gasoline price of $4.00 to $4.50 per gallon. Energy analysts expect continued volatility in prices due to the variability of shale oil production, the inability of OPEC members to maintain pricing discipline, and the increasing fuel needs of China. There is an inverse relationship between gas prices and consumer interest in hybrids, electric, and small cars. At $4 a gallon, consumers realize that a car with better mileage makes sense; at $2 a gallon, they worry less about mileage and look for power, size, and comfort. The expectation of higher prices 20 years in the future is unlikely to induce consumers to purchase electric cars today. New car sales made up approximately 6.5% of the total vehicles on the road in 2016. Since 1976, consumers have purchased between 9 million and 22 million cars and light trucks while scrapping about 11 million units each year. During the same period, the average lifetime of a passenger car increased from 12.2 years to 15.6 years. As a result, some analysts predict that more than 20 million vehicles on the road in 2021 will be over 25 years old as a consequence of motorists keeping their cars longer to save money. Research indicates that the price of a car, rather than the price of gasoline, is the primary factor in consumers’ buying decisions. Unfortunately, most Americans today don’t earn enough to afford the average new vehicle, which costs $33,300, and many have difficulty paying for an average used car, which costs $19,200, according to a 2016 study reported by Consumer Affairs. While the price of a new electric car will likely decrease as purchasing and manufacturing efficiency increase, most economists doubt that the price of electric and internal combustion cars will reach parity by 2025 as projected. Meanwhile, the potential loss of government incentives for EVs, as well as the continuing stagnation of middle-class wages, are likely. As a consequence, the probability of electric cars replacing more than half of America’s existing vehicle inventory before 2040 is low. 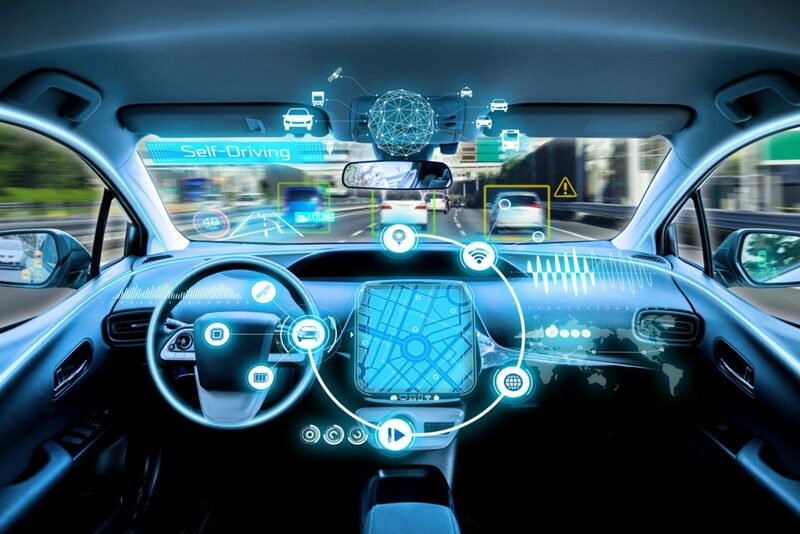 Despite the benefits of a self-driving car, surveys such as Gartner Consumer Trends consistently indicate that more than half of drivers would not ride in a fully autonomous vehicle, and a third would not ride in a car that was partially autonomous. Why? Because people are wary of being in a vehicle over which they have no control. Today’s automobiles have as many as 150 programmable computing elements, known as Electronic Control Units or ECUs. These ECUs require surprisingly large amounts of wiring, numerous types of electronic signaling and interconnect buses, and up to 100 million lines of software, in addition to the thousands of mechanical parts required to run a car. This complexity, plus the high failure rate of electronic components and the possibility of computer hacking, concerns most consumers. People are reluctant to ride in a self-driving car out of fear that the car might become confused in certain situations and that system failures might endanger them. A survey conducted by MIT and New England Motor Press found that while people between the ages of 25 and 34 are more at ease with self-driving cars than their older or younger counterparts, the number of those who were “fully comfortable” fell by half from 2016 to 2017. In 2014, Fast Company questioned if the average driver could afford a self-driving car. Its answer: “Not anytime soon.” It noted that the self-driving Toyota Prius costs around $320,000, more than a Ferrari 599. Proponents of self-driving technology claim the costs will come down as more people purchase these cars, from $7,000 to $10,000 for self-driving capability today to $3,000 in 2035. In the meantime, you’ll have to pay about $43,000 for an Infinity Q50 with this capability or $92,000 for a Mercedes-Benz with the package. If you’re thinking of purchasing or leasing a new or used electric car in the future, consider the following factors. Electric cars have a limited range of mileage per battery charge. This range can vary significantly based on the battery capacity and driver habits. According to Motor1, the Tesla Model S Sedan ranges from 275 to 337 miles on a single charge. The popular Chevy Bolt EV hatchback gets 238 miles per charge. The site ranks other 2018 model-year EVs based on manufacturer and EPA-sourced data. A low mileage range limits the attractiveness of EVs to potential purchasers. If the current range of your preferred EV is too low, delay your purchase until the operating range improves or buy a hybrid model from the same manufacturer. The time needed to fully charge an electric car’s battery depends on the type of charger used and the battery size. A 240-volt system charges faster than a 120-volt system, and small batteries charge faster than large ones. Most drivers with home charging stations elect to use their home’s Level 1 120-volt system at night by plugging the charger into a grounded wall socket. Charging may take a few hours or overnight depending on the vehicle. Charging time is reduced by half or more with a Level 2 240-volt system, but this may require dedicated wiring for home use. Direct current (DC) systems can complete charging in less than an hour, but DC charging is only practical for commercial operations, such as buildings, parking lots, or dedicated charging stations. Also, some EV models can’t utilize DC charging. As EV ownership increases, the number of charging stations will also grow and expand throughout the country. Currently, however, there is no nationwide network of commercial charging stations; locations are primarily in the West Coast and select urban areas. Before acquiring an EV, consider where and when you will perform the necessary charges, as well as the reliability of the electrical service in those locations. For example, areas of the country subject to catastrophic weather events can lose power for months. Although purchase prices for EVs may be similar to those of internal combustion engine models after tax rebates and dealer incentives, the resale value of electric cars is abysmal. According to Car and Driver magazine, a three-year-old Nissan Leaf purchased for $30,000 to $40,000 new has an average retail value of $8,000 to $8,500 today. Hybrid models see a similar decline in resale value. Only Tesla models have resisted the decline in value as they age, possibly because of the company’s recently discontinued resale value guarantee. While miles-per-gallon equivalents are much higher for EVs and hybrids than conventional engines, the benefits of lower fuel costs are considerably less than the premiums that must be paid for EVs and hybrids. A 2016 Arthur D. Little report estimated that the total cost of ownership for a compact EV over a 20-year period is 44% higher than that of a comparable conventional-engine small car. The cost for a mid-sized EV is 60% higher than that of a mid-sized gasoline-powered vehicle. The price premiums paid for an EV may exceed the costs of a gasoline-powered car for up to 15 years. Fully autonomous vehicles are not available today and are unlikely to appear before 2025. 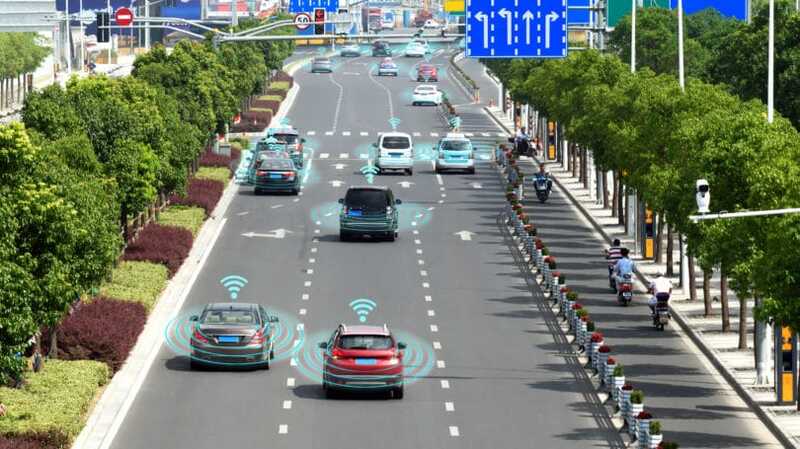 However, many of the technological advances that will be part of a self-driving system are already available on new cars and can be purchased as after-market add-ons. Cars are more comfortable, safer, and more reliable than ever before. Better design, improved crash absorption systems, automatic braking, adaptive headlights, and stability control systems have dramatically improved driver and passenger survival rates. As a consequence, the Insurance Institute for Highway Safety noted that the chance of dying in a crash in a late-model car fell by more than one-third in the period from 2012 to 2015. A video by the Australasian New Car Assessment Program (ANCAP), the independent vehicle safety commission for Australia and New Zealand, vividly demonstrates the difference in damage resulting from a crash between an older car and its 2015 counterpart, each traveling at 40 mph. If your current vehicle is five years old or more, you should consider the acquisition of a newer vehicle, according to the Los Angeles Times. It’s unlikely that your older vehicle has the latest technology that improves safety and navigation. It’s worth noting that today’s vehicles have life cycles akin to those of computers and cell phones, and any vehicle purchased today may be obsolete within three to five years. For this reason, those who wish to acquire a new car should consider a short-term lease rather than a purchase. 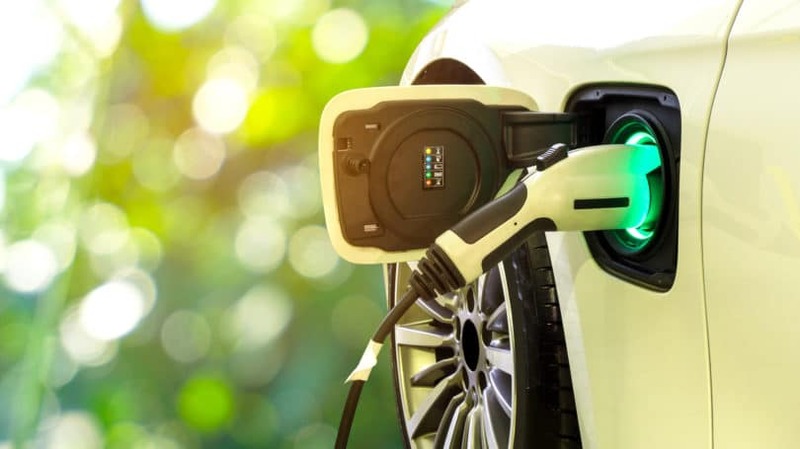 There is growing interest in electric vehicles, especially given the fluctuating cost of gas and the harmful emissions produced by traditional automobiles. Eventually, a reduction in manufacturing costs, combined with potential incentives from automakers and governments, could bring the cost of EVs down to match the cost of vehicles with gasoline-powered engines. However, it’s unclear how long it will take the United States to transition to a widespread adoption of electric vehicles. The timing of the transition from driver-assist systems to self-driving vehicles is even less clear. The biggest obstacle is driver fear over a perceived loss of control. Nevertheless, vehicles — both electric and gasoline-powered — will become safer and more comfortable through advances in technology, making even self-driving vehicles more appealing to drivers. Do you drive an EV? Would you purchase one? What are your thoughts on self-driving technologies?